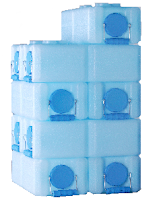 Now at Safecastle ... the popular and ever-so practical 3.5-gallon WaterBricks! Great for storing water long-term, as well as dried foods. They're robust, portable, stackable, and you can even be creative with how you arrange them (get your Lego thing on). Get one or a dozen or more ... free shipping of course, as well as club member and volume discount pricing right here. 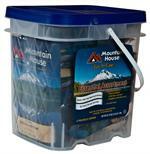 Yep ... the word is, come April 1, producer prices on the great new Mountain House pouch buckets are going up. These MH buckets are filled with some of the best-selling freeze-dried food varieties in pouches, tested to last 25 years on the shelf! Two bucket variety options to choose from ... or select one of each. Free shipping and club member discounts do apply! Get 'em now at these low prices while you can. Qualify for Gift Certificates and a Free Big Berkey too! as well as other select foods. A minimum discount of 25% on all the rest of the MH canned varieties! The absolute best storage food in the world--30 year shelf life, delicious and nutritious. AND if you are buyers club member, reaping the Royalty Rewards gift certificates. Ships free to the lower 48, any case quantity and ships FRESH to you, DIRECT from the MH factory! Don't settle for other dealers' stock that has been in their warehouses for who knows how long. to your account's shipping address. One Big Berkey offer per member. Biggest-ever Mountain House Sale, Freebies, and Interest-free Financing! Just Waiting for Your Tax Refund? We do have a 6-month interest-free payment option via Paypal's Bill Me Later, with a bonus $10 back! The Best-Ever Mountain House Canned Food Sale is in its last few days. Up to 35%-off MH freeze dried foods, free shipping. 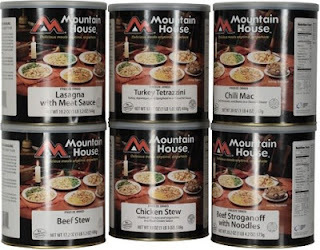 Mountain House is the hands-down premier storage food in the world. 30-year shelf life in cans, best taste and food quality, proven and tested over and over again. For our buyers club members we even award Royalty Rewards gift certificates and a free Big Berkey water filter for qualifying purchases. Act fast ... these offers end February 15. Everything ships fresh to you promptly, direct from the factory. Just Announced: Free Big Berkey to Qualifying Members! qualify for a FREE Big Berkey water filter with two Black Berkey elements!Transactions by a club member of any kind in our store during this offer period are cumulative and count toward the $2000 threshold. and that's all there is to it. Your free Big Berkey will be sent to your listed account shipping address. One Big Berkey offer per customer. IMPORTANT NOTE: We are prohibited by law from shipping Big Berkeys to California and Iowa. If you are a resident of those states and have an alternative shipping address in another state that we can use, just let us know and we will use that ... or, we will issue you a gift certificate worth $200. This offer coincides with our Greatest-ever Mountain House cans sale ... so you are able to really pile on the savings and top off your preps in princely fashion ... saving up to 35% off the premier storage food in the world, reaping the Royalty Rewards gift certificates that your MH cans purchases qualify for, AND now, also scoring a free BIG BERKEY water filter when you hit the $2000 purchase mark. The "smart money" these days is investing in and stockpiling practical investments of substance that look to be absolute essentials for the challenging world ahead. Some of those investments are already peaking in terms of cost. Precious metals, guns, ammo, and farmland are prime examples of goods and property that have skyrocketed in value in recent times. Top-quality, well-recognized storage food is another very popular store of value that, in fact, is the most critical of all of those options since of course you can actually eat it and it will sustain you in ways that the other investments never will. The good news is that we are still on the winning side of the curve there. Supply and demand is always key. 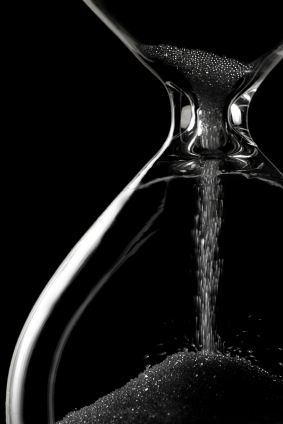 Limited supply or an anticipated dearth of availability tends to inversely create even more demand ... driving up the value of something and quickly depleting any remaining supplies. You know the way it works. You're seeing it right now with the value of some firearms and ammunition that are actually selling for up to triple to cost of just a few months ago (if you can even find what you are looking for). The drought in the breadbasket of America continues apace and is serving as the epicenter for the 2013 drought that is expected to severely test American food-production and stress family budgets. Of course there are many other factors that go into the price and availability of foods, such as the cost of oil, political gamesmanship, and more. It's a pretty safe bet that the near-term and longer term outlook for food in our country is bleak and risky. Our Maximum Mountain House Sale is setting new records in terms of demand (and in terms of discounts too) ... every Mountain House freeze dried #10-can listing is discounted the maximum-allowed 25%! But beyond that, MH is allowing an extra discount of another 10% off select varieties that will provide you with the best discounts ever on Diced Chicken, Diced Beef, Ground Beef, Cottage Cheese, Raw Egg Mix-Uncooked, and Scrambled Eggs w/ Ham & Peppers. That's 35% off those items ... and 25%-off everything else!! Of course everything always ships free to the continental U.S. ... and our buyers club members reap extra Mountain House Buyer Rewards that their MH can-case purchases may qualify for ($20 in a gift certificate for every 3 cases purchased in a transaction!). Shop here and get your larder topped off for the dark days ahead. 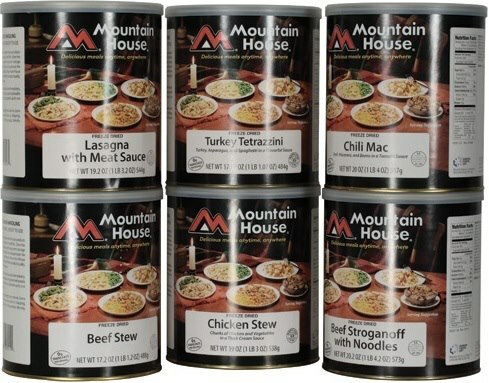 Mountain House food, the best quality storage food in the world, with 30-year shelf life, is shipping promptly right now--there's no better time, and your investment couldn't be better timed. 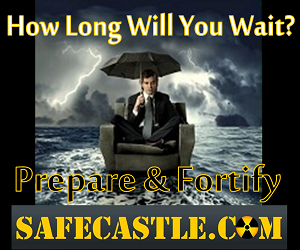 Labels: How to be ready, Safecastle sales, Why prepare? We've been saving the following short guest post by "Strap-in-Tite" for a memorable moment in time ... such as this current auspicious event--the greatest-ever Maximum Mountain House Sale (25%-35% discounts and even more!) --only running now at Safecastle--the online crisis preparedness buyers club of the most discerning and serious scholars and logicians. You know who you are, and yep--so do your closest confidants. Though your own mother, maybe the hubby or wife, and certainly the neighbors are totally clueless about this little buried and camoflauged character flaw you try to keep fed and satisfied (probably in the wee, dark hours of the night). No--it's not just about being a prepper. Face it--preparedness has gone mainstream today ... it's trendy in fact. So that so-called secret is not so crucial anymore, is it? Shhh ... we're talking about being (look both ways, lower your voice ...) an extreme prepper ... a hoarder of the 7th degree ... the one who has that deep inner need to have the mostest, the bestest, and the newest gear and supplies in the neighborhood ... nay, the entire 4-county region. Not that many folks know it, but YOU know it. It's what matters most ... that when the dreaded day of doom arrives--you'll be the one at the top of the heap of smoldering ruins, kicked back and enjoying your comfortable numbness while Pink Floyd is playing on your solar-powered amplified MP3 player. It all comes out of the black-box expense account in the family budget ... the records and receipts kept in the password-protected folder in the gun safe that only you hold the key to. You're doing it all for the good of the family--maybe even for the good of the whole darned neighborhood if the PTB can hold it all together long enough. So it's all OK--no, really. After all, survival does not come cheap in the 21st century. Your closest collaborators seem to think your ego and prepper ambitions are so elevated that you generate your own weather fronts. But what do they know, really? Hey, your most closely guarded knowledge ... or seemingly so, since all too many of those other new-to-the-game players are trying to get it done on the cheap, is that you really do get what you pay for and you need consider that if you are going to come on the winning end of things--especially when you are talking about gear and supplies that are intended to save lives after perhaps spending many years on the shelf. Pretty basic, no? Yet there are those out there spending good dough on cheap foods that are unproven and that are clearly often downright misrepresented. And those facts really aren't hidden away ... it's common sense and it's all pretty well documented out there online and in industry publications. You know the brands that are suspect ... there's more than a few that have appeared out of nowhere in the last couple of years--aiming to take advantage of the growing market for the neophyte preppers who don't know any better. You do your part though ... you not only store primarily Mountain House freeze-dried foods, but you tell anyone who asks--spend a few extra bucks for that ultimate MH survival grub, or wait to take advantage of the big periodic sales on the MH food. Do it all at once or do it systematically a little at a time. But spend the money on the best emergency storage food in the world--the food that the big-shots rely on, the food that lasts 30 years and more in #10 cans, the stuff that's easy to rehydrate and is absolutely delicious and nutritious ... the types of entrees Americans are used to enjoying today in their daily diets. It's no-brainer stuff that in the end lets you sleep well at night. Hey--most folks understand and follow the rationale for spending a few extra bucks on the best weapons, ammo, recognized and reputably minted gold and silver coins, cold-weather gear, vehicles, and on and on. But they seem to think that a year's supply of food for a family of four should cost around $1000 or so. LOL Well, maybe so, if rice or pinto beans by the pallet-load are what's for dinner, lunch, and breakfast. You stock Mountain House and a few other carefully chosen foods and you do it knowing full well that it's going to be there for you when you need it. And when you do need it, mealtime is going to be a highlight of your day. It feels pretty darn good being the sharpest, best-situated prepper around these parts, doesn't it? A note about "Strap-in Tite": This guy is close and well-known to us here at Safecastle. He's a kitty-cat when he's in the groove and we feel blessed to have him here in our midst after he kind of wandered in to our buyers club and never left. But at the same time, there are days when we feel like we have to keep him leashed to keep him from going a little overboard. He's our own little Kraken and God help anyone who gets in between him and his preps. This post is copyrighted by Safecastle LLC and if reposted, must be done so in its entirety, including attribution, intro, postscript, and a link back to this page. February is Going to Swamp the Mountain House Factory with Orders - Get Yours in NOW at Best Discounts Ever! Be Forewarned: The Mountain House Factory is going to be getting swamped with orders this month. It will be a big test for their increased order-processing capacity. Right now, as we start off this huge freeze-dried storage food sale, orders are shipping out to you fresh from the factory within 2-4 business days. But in a short time, that period will be extended. I cannot tell at this point how long those processing times will reach. That big month is already "baked in the cake" as it were. But if anything of importance happens out there in the world that opens the floodgates for new preppers to sweep in (as we have seen happen a few times in the past), then all bets are off. If you are planning an order for these unprecedented discounts, then I recommend doing it quickly to ensure prompt delivery. February 1-15 is our Maximum Mountain House Sale in which every Mountain House freeze dried #10-can listing is discounted the maximum-allowed 25%! But beyond that, MH is allowing an extra discount of another 10% off select varieties that will provide you with the best discounts ever on Diced Chicken, Diced Beef, Ground Beef, Cottage Cheese, Raw Egg Mix-Uncooked, and Scrambled Eggs w/ Ham & Peppers. That's 35% off those items ... and 25%-off everything else! !